This lovely bread basket is addorned with love knots. It is approximately 7.5" x 9". Each one is different and sizes can vary slightly. 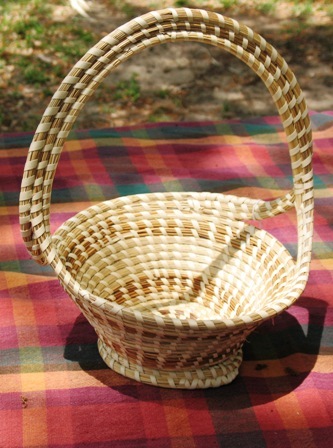 Welcome to Edisto Island where you will find the finest sweetgrass baskets produced in the Low Country of South Carolina. 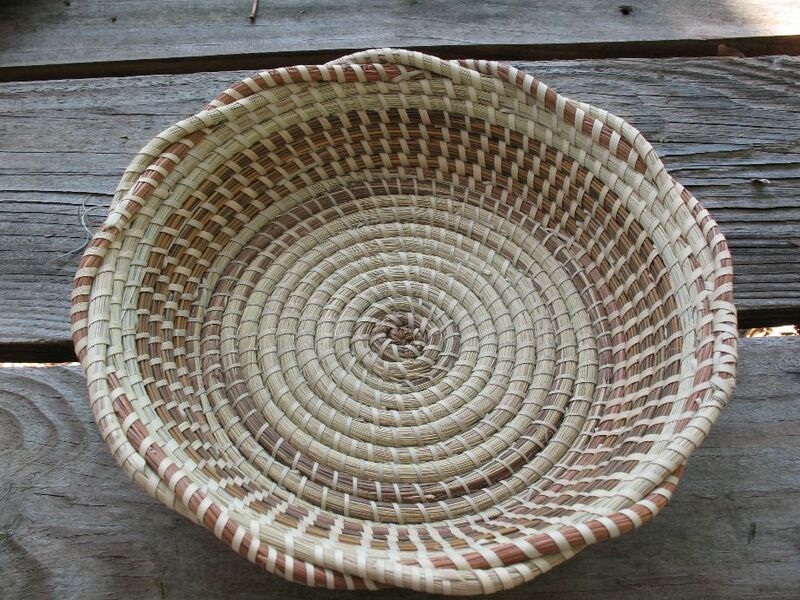 Lillie Howard has been weaving sweet grass baskets for over 46 years. We also carry a full line of birdhouses, candles, and coastal and nautical products.. We have added a line of gift baskets to our lineup. We were featured in an issue (April. 2012) of "Southern Living" magazine on page 24. Check it out!! Announcing our new location. We are now located in front of Kings Market on Highway 174. All of our baskets are unique and one of a kind. Delivered product may differ in size and style from the photo because they are all handmade. We strive to deliver only quality baskets, and if the delivered product varies from the photo, we try to send you a better one. All sizes listed are approximate to give you scale. We include the history and care of sweetgrass baskets with every order. We now have over 200 baskets already made and in stock. I have launched a new website to link to my Amazon Store. It is http://www.sherrishomeandgarden.com. 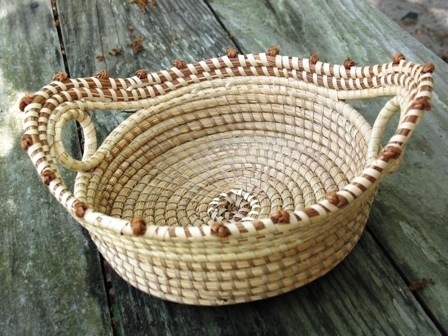 This basket has a double handle and a pesdestal base. Approx. 10 - 12" tall and 8" wide. Sizes vary. This fruit bowl sweetgrass basket has a pedestal Base. Approx. 8-9" round x 4". We now carry a line of scented gel candles. Custom orders can be placed by emailing or calling us. Gel candles burn 5 times longer than wax candles. We are offering many scents and sizes. They make wonderful shower or wedding favors or just an aromatic addition to your home. 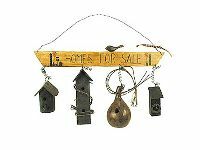 Measuring 13" wide X 8 1/2 tall, this is a very cute piece of birdhouse decor that will work inside or out.